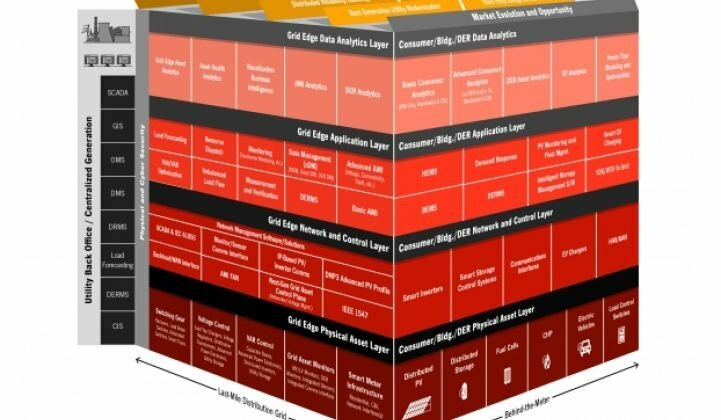 The Grid Edge: How Will Utilities, Vendors and Energy Service Providers Adapt? The intersection of grid modernization and the rise of a new end-to-end energy system is already upon us. The term “smart grid” is getting a bit long in the tooth. Here at Greentech Media, we saw this as inevitable. 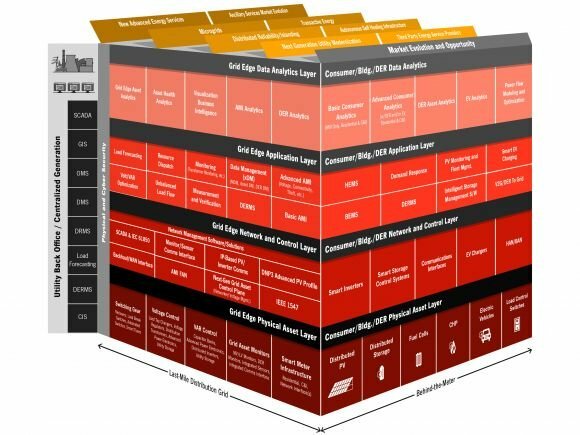 Over the past five years, we have thus referred to it as the "networked grid," with a nod to the underlying communications networks that were a critical first step, and as the "soft grid," as data, analytics, and software applications sprouted atop the infrastructure. 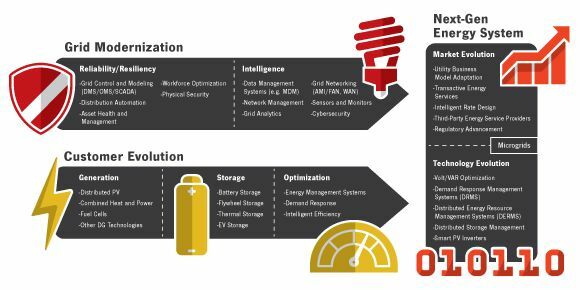 As we’ve continued to dig deep into the trends and technologies surrounding distributed generation and grid modernization, we have crafted a new way to look at these trends: a concept we call the grid edge. Now that the grid edge has crystallized in our minds, it will become a major part of our editorial coverage, market research, upcoming conferences and newly announced executive council. As we talk with market experts across utilities, technology vendors, regulators, end users and industry organizations, this topic, though still somewhat nebulously defined, has also been evolving into a priority for them and their respective businesses. The time is now to put a critical lens onto the grid edge. By 2016, there will be a new distributed solar PV installation every 83 seconds in the United States. 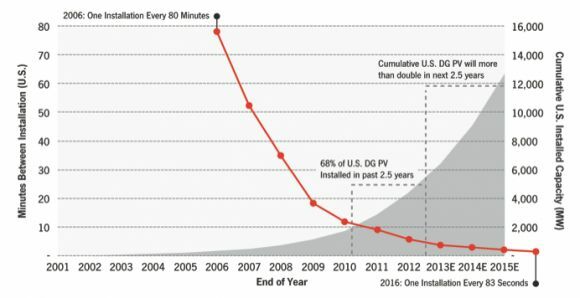 More distributed solar has been deployed in the past 2.5 years than in the 50 years prior, and GTM Research is forecasting another doubling over the next 2.5 years. Given the undeniable fact that we are moving from a centralized energy system to a next-generation distributed energy system, Greentech Media and GTM Research see the grid edge as the future of grid modernization. There are two parallel forces in process that are driving the formation and definition of this next-generation energy system: grid modernization and customer evolution. Along with the growth of distributed generation and its impact on grid infrastructure, there are additional market forces at work. Based on nearly every utility survey we have ever conducted at GTM Research, reliability is almost always the top priority when considering new technology or evolving existing technology. Expectations that climate change will make major storms like Superstorm Sandy more common will continue to put pressure on grid reliability. These concerns are driving utility and energy service providers to take seriously the inherent reliability of distributed, islanded systems to mitigate widespread outages. -- Grid modernization will largely focus on technologies and architectures to support a growing distributed energy system. -- Distribution automation will evolve to support variable generation sources and the challenges they pose related to voltage, frequency, forecasting and overall grid reliability. -- Grid communications networks (the networked grid) will become even more important within the distribution grid, and reaching behind the meter, to support new requirements and applications. 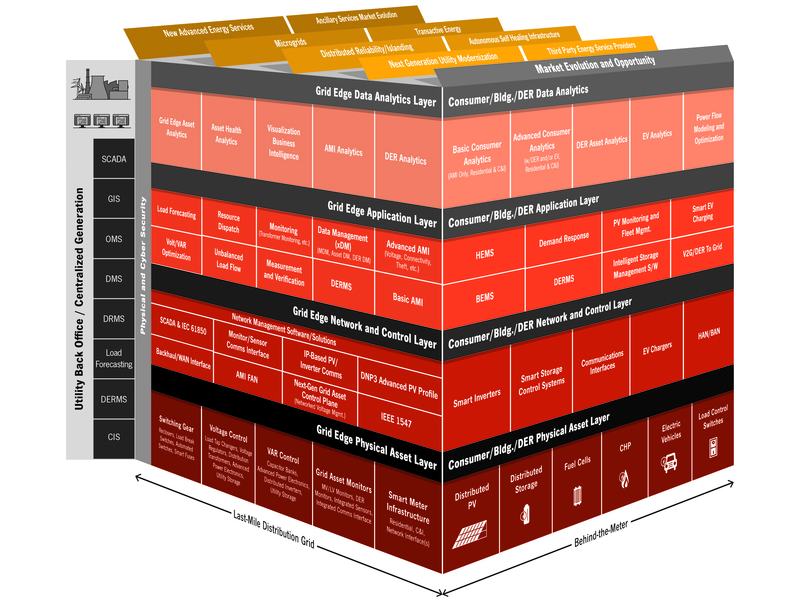 -- Grid-edge analytics will grow to be one of the most important segments of the soft grid. -- Distributed PV, smart inverters, distributed storage, energy management systems, new load types (EVs, etc.) and the management and control of these technologies become critical. -- Utility business models and regulatory models have the opportunity to evolve substantially given the trends at the grid edge. -- Opportunities for growth will present themselves for new, third-party energy service providers and microgrids. -- Energy efficiency technologies and programs will evolve to support smart, connected buildings and advanced demand response programs. Over the last few decades, we've seen this same type of transformation play out in other industries like computing and telecommunications. The grid edge will be no exception. To elevate the dialogue around these coming changes, Greentech Media and GTM Research launched the Grid Edge Executive Council last fall, which combines our world-class market research with three intimate, exclusive gatherings throughout the year. The Grid Edge Executive Council is an exclusive group of decision-makers meeting regularly to educate each other on critical technologies and market developments and share ideas on how best to move the market forward as a community. Through the council, members can access research on market trends, learn about technological developments, and engage with peers and GTM Research analysts to tackle the electric grid’s most pressing challenges. More information about grid edge and The Grid Edge Executive Council can be found here. Lastly, GTM is also happy to announce our inaugural conference on the topic, Grid Edge Live 2014, which will take place in San Diego, California with host utility San Diego Gas & Electric on June 24-25, 2014. We hope you'll join us as we roll out these exciting new offerings and coverage areas. Rick Thompson is president and co-founder of Greentech Media. Will you be at DistribuTECH? Join Greentech Media, Gridco Systems and CPS Energy on January 29th to celebrate the successful launch of GTM's Grid Edge Initiative. There will be food, drinks, and iPad Air giveaways. The party starts at 6:30 at the Vault at 209 North Presa Street. RSVP here.